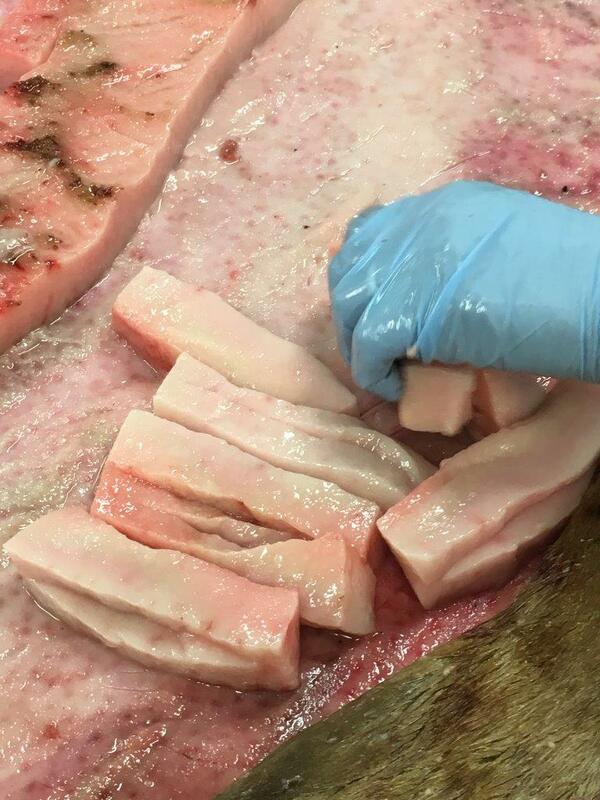 In Kotzebue, the long-term care facility is leading the way with their state-certified meat processing building, the Siġḷauq. Things like caribou and trout are regularly on the menu. 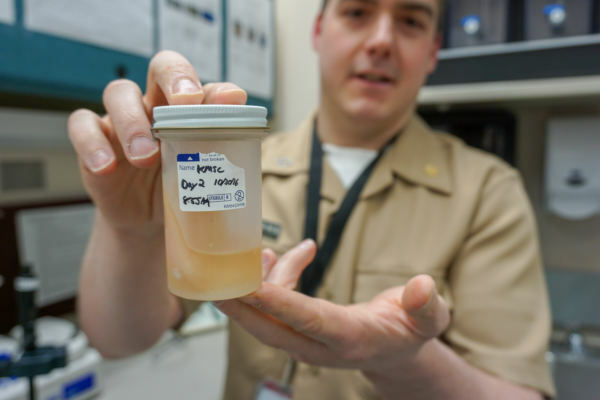 Alaska has significantly more cases of botulism than other states, mostly because of fermented foods and sometimes because of seal oil. So serving seal oil in nursing homes and schools is illegal except during potlucks. Cyrus has been making seal oil his entire life. He cuts the blubber from the skin, chops it into small pieces, and puts it into a container to let it render into oil. Sometimes he stirs it. Sometimes he adds older seal oil to speed up the rendering. But now, when he does it inside the Siġḷauq, instead of at hunting camp, every part of the process has to be documented. That’s where Chris, the food safety expert comes in. Chris points out the new scientific tools in his tiny lab. “The most important piece of equipment that we got right now is the pH meter,” he said. They’re working with scientists from the University of Wisconsin and the Kodiak Seafood and Marine Science Center to figure out what makes seal oil potentially dangerous. They’re measuring temperatures, water content, and pH. They’re sending samples to labs out of state to document the microbiology. Chris will even film the weeks-long rendering process with a time-lapse camera. They think that as long as the seal oil gets down to a pH of 5 or less and doesn’t have any water in it, then it’s safe to eat, but they have to prove it first. They’ve been working on the project for three years now — seeking collaborators and designing and running the controlled experiments. They’ve played with ideas like adding lactic acid to lower the pH or trying traditional methods, like jump-starting the rendering process with older oil as Cyrus suggests. But all of those options could affect the taste, so they’ll face another necessary hurdle. Once the process is fully documented and a food safety plan is laid out, Chris will apply for approval from the state. Then their plan could be used as a model for other facilities that want to serve seal oil and as guidance for seal oil rendering at home.